I'm excited to share with you another makeover. 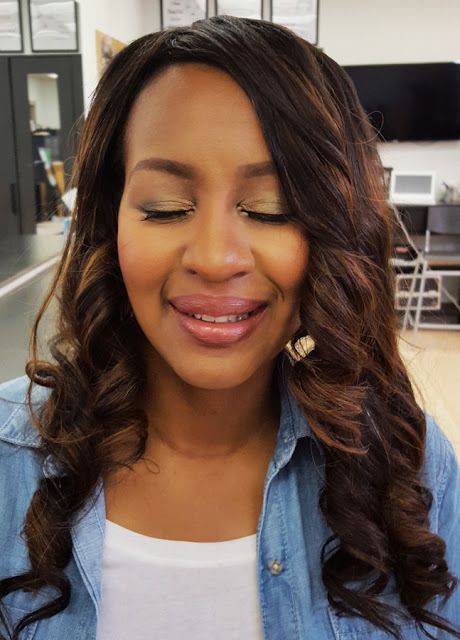 My gorgeous client came to me for makeup for her headshots. We wanted something professional, but with some fun pops of color. Check it out! My client is a Professor of Communications and plans to use these head shots for her upcoming published book. Her favorite color is green and she loves pops of pink on her lips. She also wanted to work on evening out her skin tone. First, I used my Graftobian Global Corrector Palette to use orange tones to cover any discoloration. Then I paired it with my Graftobian Warm Super Cream palette to apply the foundation, highlight and contour. Her face looks super fresh and bright without being too heavy. On her eyes I paired an olive green in her crease with soft golds on her eyes. That way we incorporate her favorite color while balancing it with neutrals. 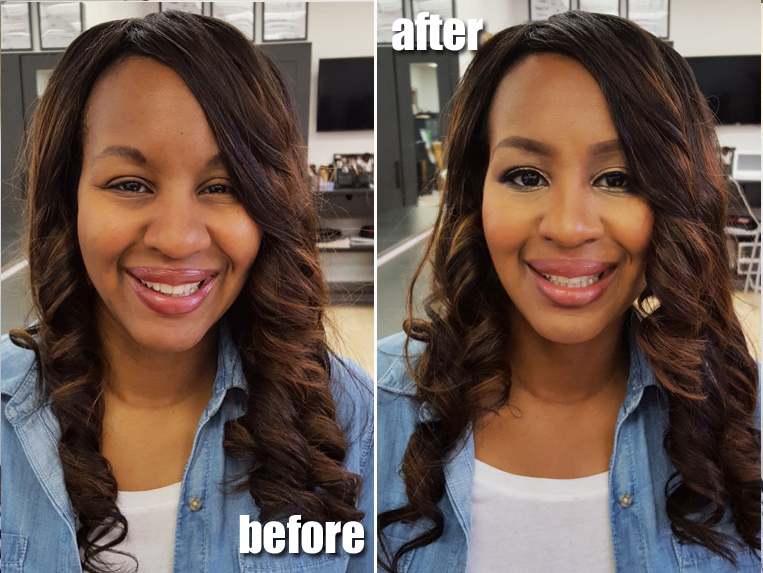 Giving her a pair of lashes really lifted her eyes and a new brow shape also opened up her entire face. Lastly, a neutral mauve lip with a bit of gloss finished it off. I can't wait to share with you the professional pics, stay tuned!